An awful lot of things in life in the US are affected by your credit score. Your ability to get a car loan, a home mortgage and sometimes even a certain job can all be impaired if your credit score is less than perfect. If you have had credit problems in the past rebuilding your credit is probably something very much on your mind and oddly enough the very things that get a lot of people into credit troubles – credit cards – can also get them out. Before you begin trying to find the right credit card that is available to you if you have credit that needs rebuilding you should take a careful and close look at your credit reports from all three of the major credit reporting bureaus. By law everyone is entitled to a free copy of each report once a year so doing so does not have to cost you a penny. Once you have all your credit reports on hand go through them top make sure that the information they contain is correct. Many people are often surprised by the amount of erroneous information that is showing up on their credit profile, making their poor credit score even worse. If you find something you believe is wrong contact the credit bureau (or bureaus) and challenge it. It does take a bit of extra effort but getting just one black mark removed from your credit report can make quite a difference to that all important credit score number. Every time you make an application for credit of any kind that information is usually reported to the credit bureaus as well, and too many applications for credit, whether you are turned down or not, can negatively impact your credit score as well, something that those with bad credit already can ill afford. Therefore if you are hoping to rebuild your credit with the help of a new credit card you need to do some homework before you apply for any card, to try to ensure that you apply for one that you stand a good chance of getting so that you do not have to risk what credit you have making several different applications. 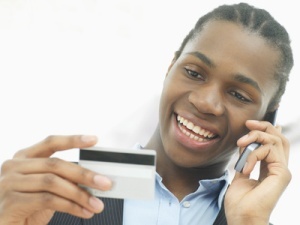 How Does a Credit Card Help Rebuild Your Credit? In order for it to be an effective credit rebuilding tool you will have to do more with a credit card than just get approved for it and stick it in your wallet. How you use it is the key. Ideally you should use your credit card when you otherwise might have paid cash (at the gas station, the grocery store etc) and then put that cash aside so that you can pay off your balance in full every month. Carrying a balance on your credit cards is not a good idea at this point, especially since most of the credit card offerings available to those with poor credit have rather high interest rates attached to them. Once you have begun following this spend/pay off pattern for several months you should start to notice at least some improvement in your credit score. Rebuilding your credit in this manner will not happen overnight and you have too be consistent in your efforts as just one late payment can derail all your hard work! It will also help your credit score if you can persuade the lender who issued your card to give you are a credit line increase, even if its only a very small one. The more credit you have available to the better in the eyes of the credit bureaus (as long as your income indicates you can afford it). Exactly how credit bureaus calculate credit scores is something of a science and there are more factors that affect it than just your credit card spending habits but the sensible use of a credit card for bad credit can help. To keep an eye on your credit score over time you will have to sign up for one the many credit monitoring services that are out there these days. Most of them do cost $10-$20 a month but if you are rebuilding your credit with a specific goal in mind (securing a car loan, being approved for mortgage) it can be money very well spent. Just makes sure you choose a service that monitors all three credit bureaus at once! If you have very poor or very damaged credit (600 or less) getting any financial institution or lender to take a chance on you and issue an unsecured credit card is going to be hard. That is why for most people in this situation a secured credit card is going to be the best credit card to begin rebuilding credit with. There are quite a few good offerings out there. HSBC, through their Orchard Bank division, specialize in issuing credit cards for those with poor credit and issue several different kinds. Capital One also offer a good secured credit card product and their Capital One Secured MasterCard comes with a credit tracking feature included in the $29 a year membership fee, a rather nice extra. Very few people actual carry cash these days, especially since prepaid credit cards have become so popular. A prepaid credit card is not the same as a secured credit card though and a lot of people are getting this fact all mixed up. A prepaid credit card is essentially a debit card whereas a secured credit card operates just like any other credit card – you are charged interest on purchases and you are sent a bill every month. A prepaid credit card only lets you spend whatever money you “load” onto it and the purchases you make are not reported to credit bureaus in the way that those made on a secured credit card. In other words, as handy as they are using a prepaid credit card does nothing to help rebuild your credit.